Celebrate trees for Van Mahotsav week! 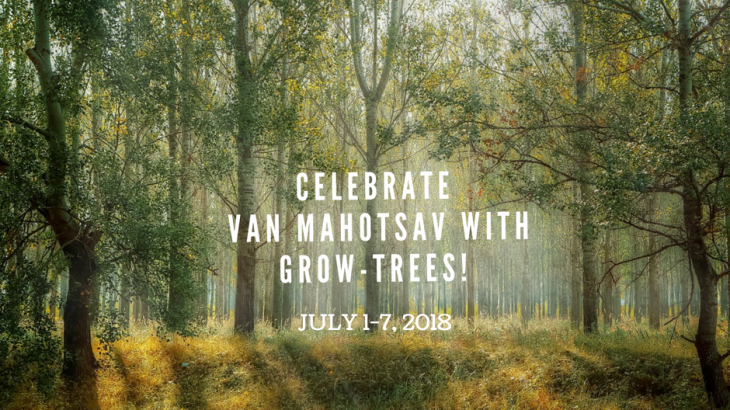 In India, every year the first week of July is dedicated to the forests of the country and is celebrated as Van Mahotsav week. This day was launched by K.M. Munshi the then Union Minister for Agriculture and Food with the intention to raise awareness and motivate every citizen to plant at least one sapling during this week. Indian culture places nature at the heart of its tradition. The forest is revered for its spiritual, life giving and life sustaining function on our planet. India is an agrarian economy and a vast majority of our landmass is either cultivated for crop and grain or commercially viable timber and fruit. To make the most of our fertile land and ample water resources, it is important to plant trees not merely to harvest their product but to also maintain the integrity of the soil, to conserve our hydrosphere and our biodiversity and maintain a stable level of carbon dioxide in the atmosphere. 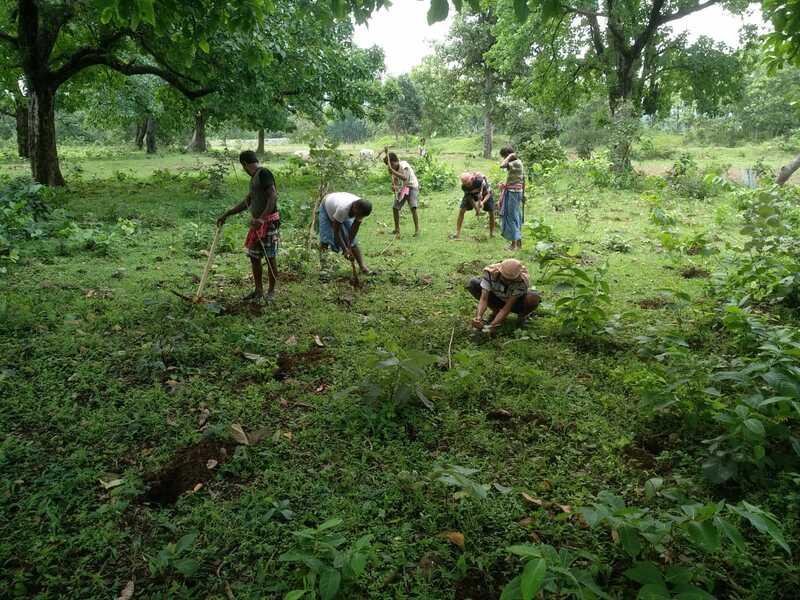 Plantation activity commences at our project site in Jharkhand. Van Mahotsav, at its very core, was an attempt to raise awareness for the importance of forests and nature to the human civilization as well as it to the diverse wildlife that calls it home. In present times, Van Mahotsav stands for much more than that. Climate change and the rapidly changing landscape of cities, towns and countryside from clean, green, open spaces to an infrastructure and development layered dystopia. Trees carry out so many functions fundamental to the survival of our species as well as the survival of other species such as animals, birds, insects and microorganisms. Urban areas especially are in dire need of trees that can help alleviate air pollution, improve the aesthetics of cities that are dominated by concrete and glass and help improve the mental well-being of people that reside in urban centres. The Japanese concept of Shinrin-Yoku or forest bathing has its basis in the curative properties of natural settings for human health. What can you do this Van Mahotsav? Planting a tree around your vicinity may not be possible (we do after all live at the mercy of public governance bodies that need to maintain roads and parks in a regulated manner) but you can plant a tree by making an online contribution with the added bonus of helping a rural or tribal group make a livelihood, conserving unique biodiversity or supporting water conservation in a drought-prone region on www.grow-trees.com! Team Grow-Trees visits project sites in Sikkim! Going paperless good for business great for the forest! admin on Benefits of Planting Trees for Shade! uses of banyan tree on Benefits of Planting Trees for Shade! Dileshkumar Raval on Grow Trees in Urban Areas! srinu on Grow Trees in Urban Areas!